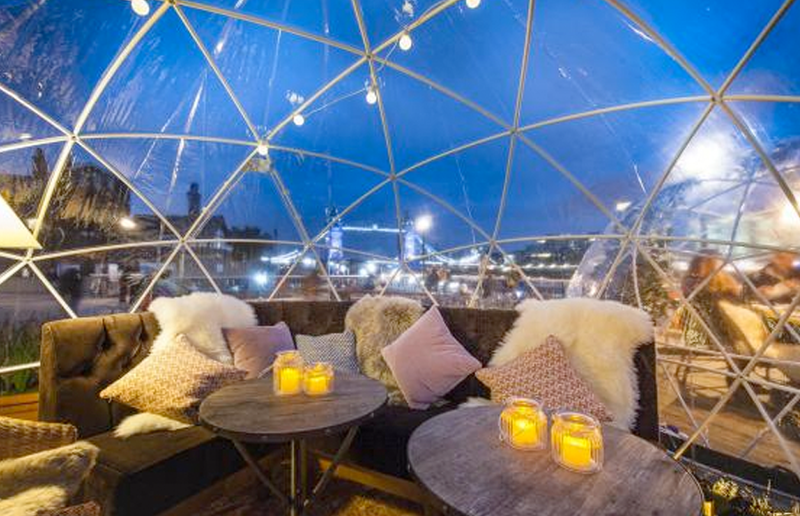 Keep warm in a igloo alongside the River Thames this winter with festive cocktails and food! Christmas is well and truly upon us. The Oxford St light are up, and there’s nothing you can do about it. And there’s a new London spot which is getting us all excited to warm our frozen fingers. 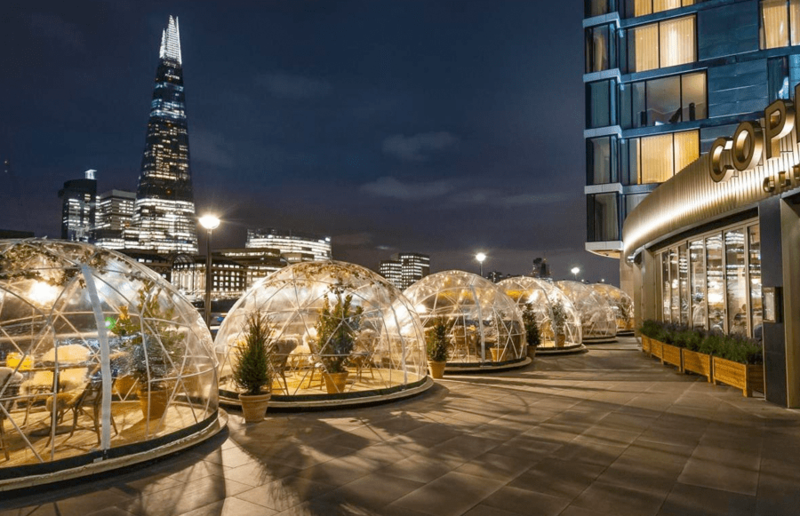 Giant “igloos” have been installed on the banks of the Thames next to Tower Bridge today. The three-and-a-half-metre wide dining and party venues are made from PVC and come with sheepskin blankets and heaters. Mmm. The huts can seat around eight people and sit on the terrace of Coppa Club restaurant and bar in Lower Thames Street, with views of the bridge, HMS Belfast and the Tower of London. If you pop on down, you’ll be able to enjoy festive cocktails including a maple syrup twist on an Old Fashioned, and a Spiced Berry Caipirissima, whilst you watch the world go by from the warmth of the igloo. There’s also three “dining” igloos which feature large tables which seat groups of up to eight. The other five will be kitted out as lounges with inbuilt speakers playing a funk, soul and jazz. The igloos, created by designer Theresa Obermoser, will be open until January. If you want to try them out, visit the Coppa Club website for more details.